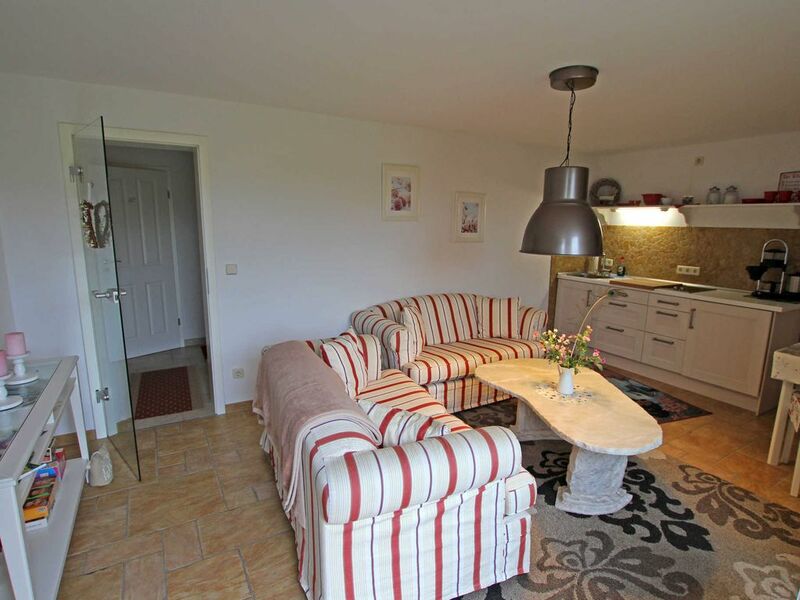 The Non smoking apartment with separate access is located on the ground floor of a 2004 newly built house on a 2700 square meter residential / sea property, right on the Kleinen Mahlgastsee. From the terrace you have an unobstructed view of the lake and nature. The apartment is equipped with living / dining room (upholstered furniture, dining area, LCD TV, radio / CD, electric hob, fridge with freezer, div. Kitchen appliances), bedroom (double bed), shower / WC, central heating. At your disposal: WLAN, furnished terrace, barbecue, parking and rowboat. The total price includes final cleaning, towels, water and energy. Bed linen is please bring your own. On-site service: bread service, bakery service by baker's car, the daily drives through the village. ein ausgesprochen gutes Feriendomizil - sehr zu empfehlen! Röddelin is a district of the small town Templin (about 5 km) in the heart of the Uckermark, surrounded by a beautiful forest and lakes rich region and is surrounded by 3 lakes. The Röddelinsee has the status of a federal waterway (Upper Havel) and is ideal for water walkers. The large and the small Mahlgastsee are considered very good fishing waters. Through the village lead 3 cycling and hiking trails. Templin as a tourist center of the Uckermark offers outdoor pools, a beautiful natural thermal spa, boat rentals, passenger shipping and numerous restaurants and shopping. Approximately 4 km outside of the city, in 2004, opened the western town of Silverlake City with various leisure attractions. Another highlight are the popular draisine rides to Fürstenberg and back.